She's back and as high and mighty as ever. 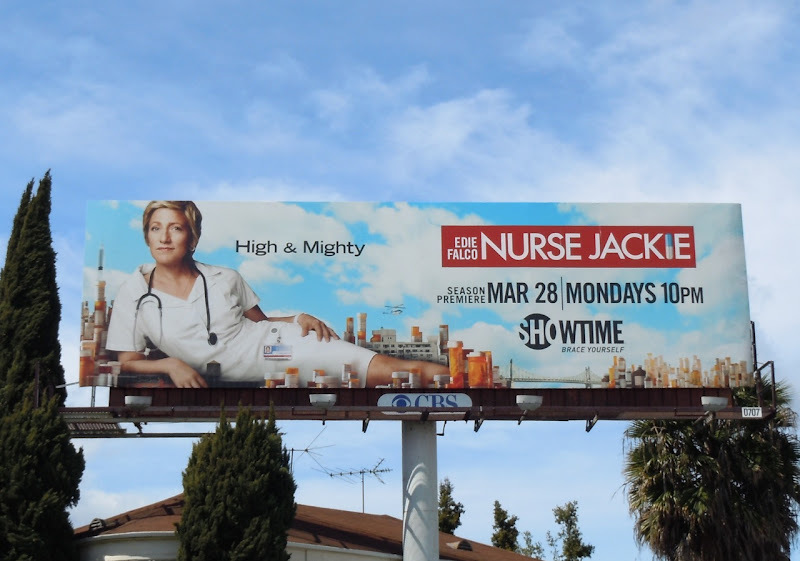 Edie Falco returns for a third season as the titular Nurse Jackie with another fantastic promotional billboard. 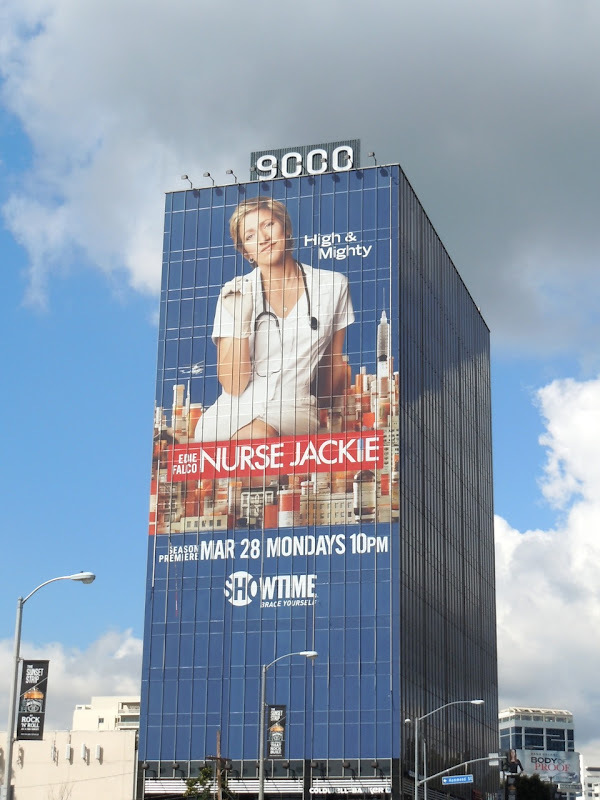 The pill popping nurse, 'Jackie Peyton', looms large over L.A.'s Sunset Boulevard with a giant billboard on the 9000 building on a slightly overcast March 22, 2011 and smaller creative along La Cienega Boulevard. 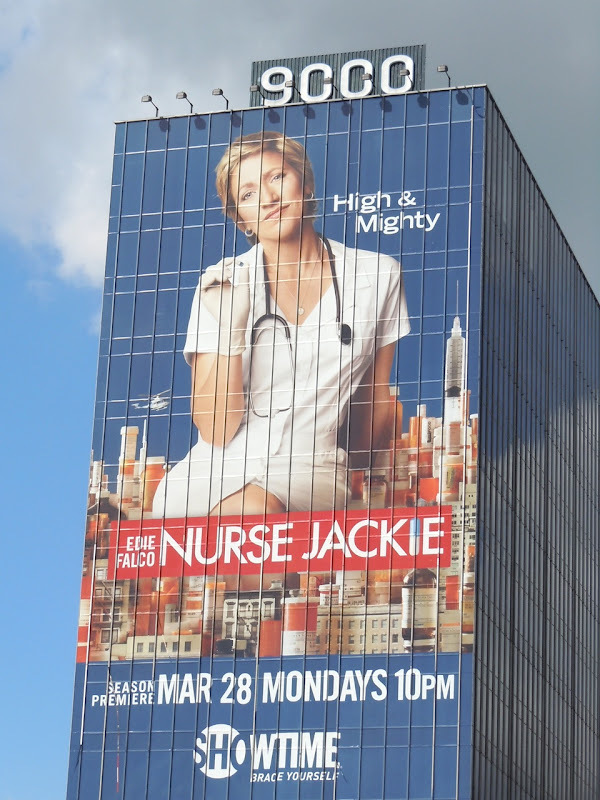 This season the New York City skyline backdrop is made up from pills, syringes and hospital paraphernalia to help reinforce the medical and substance abuse themes of the dark comedy. 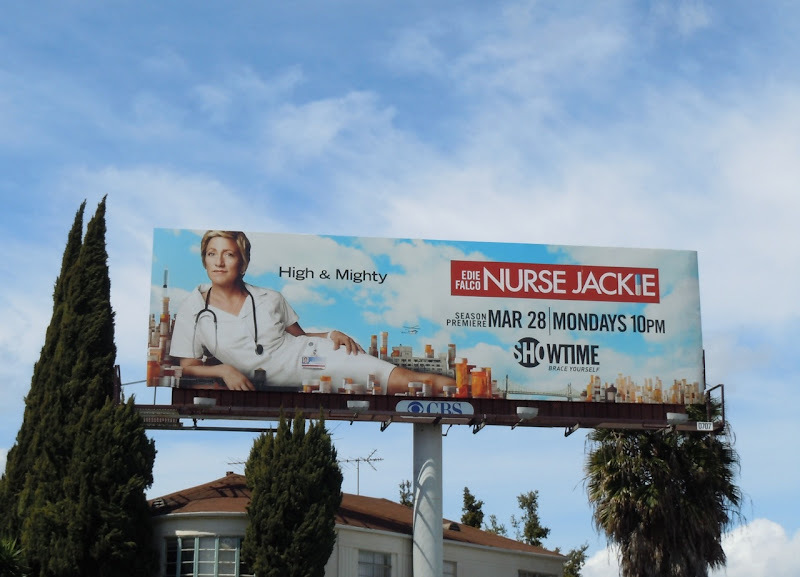 If you're a fan of the show, be sure to also check out Nurse Jackie's Life is full of little pricks season one billboard and season two's Holy Shift Nurse Jackie billboard.